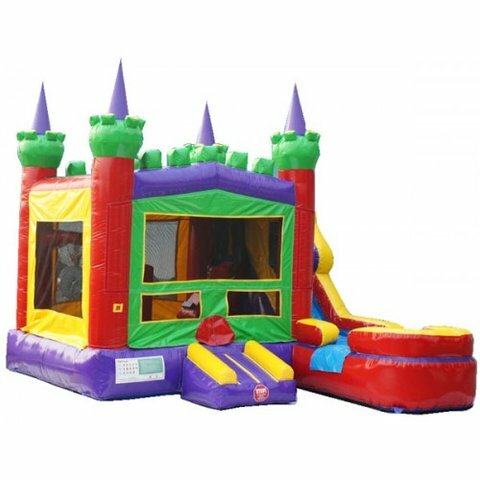 This is a bounce house and slide combo is recommended for kids for up to 8 years old and under. 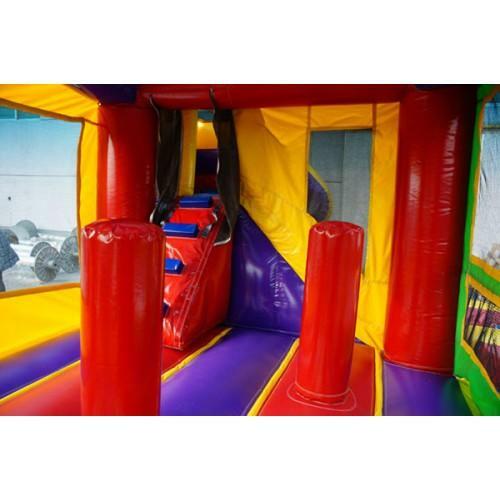 The bouncing area size is 13'x12', overall size 20'x18'. The top of the slide platform where kids stand is 6.5' tall. It has a landing portion with inflated bottom to ensure a safe landing for the kids. add tables and chairs, a concession machine rental and you'll get a stress free party in no time! 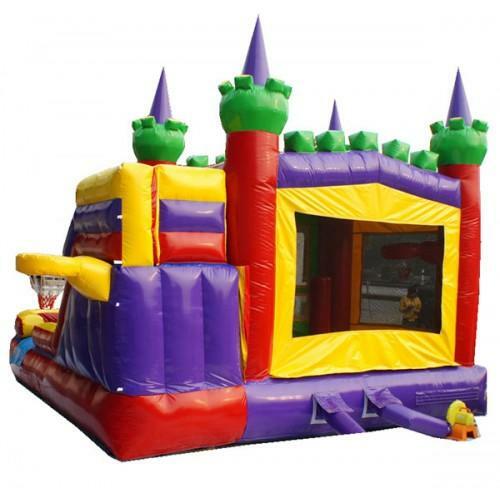 Please see the video of this amazing inflatable combo bounce house.